Leslie Knope was on to something when she created Galentine's Day. In her words "You know my code: hoes before bros. Uteruses before duderuses…Ovaries before brovaries." Share the love this holiday and send some stunning stems to your Best Gal Forever. Our Galentine’s Day Bold Bouquet will contain sweet pink roses, and seasonal flowers including tulips, asters and lush greens. Order by Friday, February 8th. Your bouquet will ship out on Monday, Feb. 11th, and arrive between Feb. 12th - 14th. Note: This design will be different than what is shipped in the Bold Blossoms monthly flower box subscription. 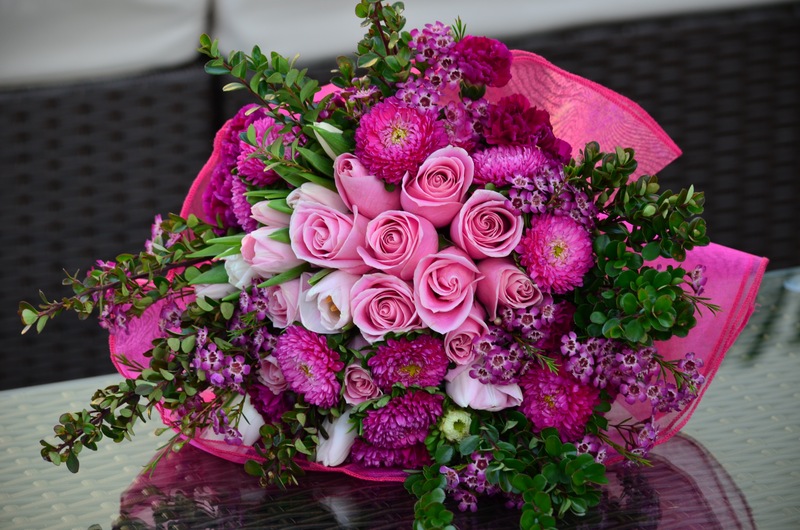 Valentine's Day bouquets are purchased separately or in addition to a subscription. *subject to change based on availability. Flowers, color & design created just for you! Not exactly as shown.